I've overtaken the third bedroom of our new house as my official craft room. It's the smallest room in the house, so I thought I was being fair by claiming it :) Hubby seemed to think if I got MY OWN room all to myself all my extra stuff should fit in it. Including my hunking treadmill which ended up in that room during the moving process my parents did some of while we were off on our honeymoon. 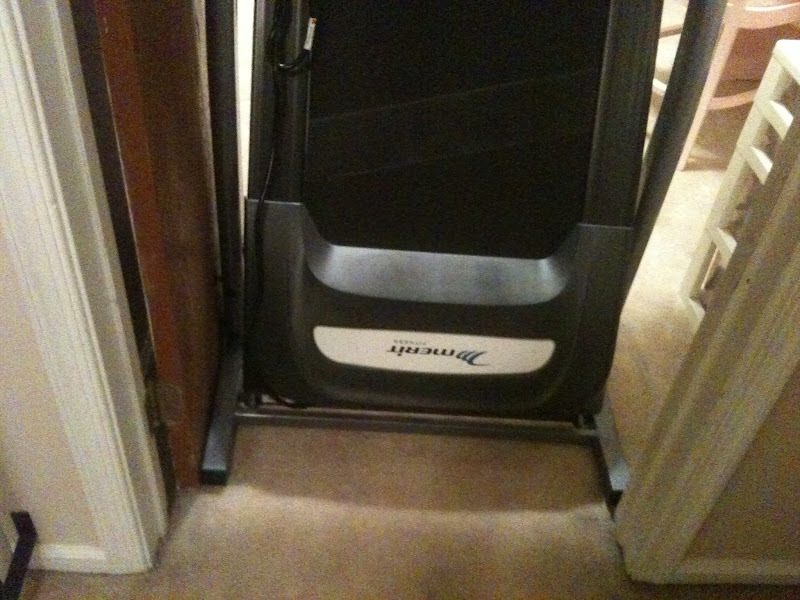 So after lots of pleases and pweeeeases and "the guest bedroom will only be used MINIMUM once a month whereas I'll use my craft room everyday...." I got him to move the treadmill out of my craft room. I'd like to highlight my beautiful curtains for our family room....that were way too short. Lesson learned: holding fabric up to window and saying, "yeah, that should be good" is NOT an efficient method of measurement. Since I'm finally done moving back and forth between college and home, etc. 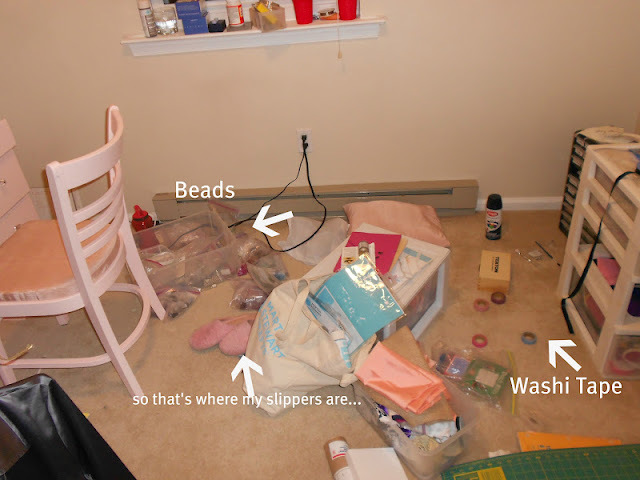 I'm planning on organizing my beads in something beside tons of little plastic bags. For now though....they are still bagged and hanging out on my floor. 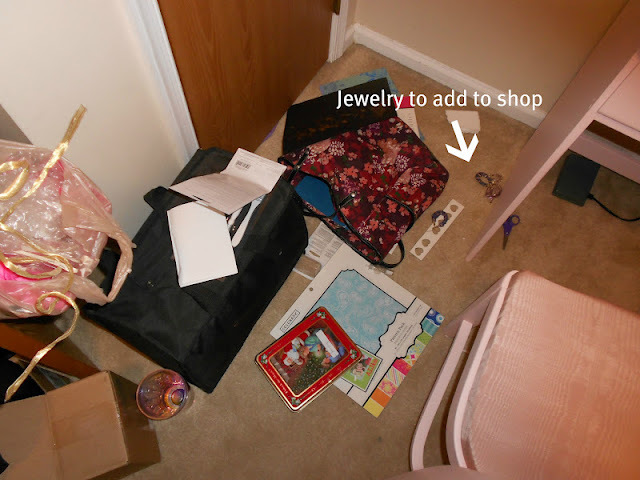 While digging through my jewelry inventory I found some new pieces to add to my shop. Obviously the best place to put these is on the floor as well. Anyway. I will spare you any more pictures of my craft room mess. My mind is churning trying to come up with ideas for desks/wall colors/organizational storage. Hopefully someday in the near future I'll be able to get myself organized so I'm a happier crafter!!! Lots of potential though!! I know you'll be so creative with it!! I am only laughing because I am currently in the same boat. I have a large table to work on, but all the things piled around it make it very unusable. Looks like we both have some work ahead. Cheers to having your own creative space though--you rock! You can run, you can hide...but you also can be replaced. LOL!!! Can't wait to see what you do!! Do u have an ikea close? I started with so much from there!! Also I have totally done that to curtains! I added a bug strip to the bottom with a different strip of fabric and made it look like I was supposed to do that haha! LOL mine is the same! I try and try to get it together but it's pointless! This makes me giggle. I feel like all bloggers have it together except for me...good to know I'm not alone! :) I'm looking forward to seeing the transformation!!! I feel your pain! Since moving across the world with all my crafty supplies but NO furniture, I have no workspace and I have to look through at least two boxes to find what I need... at least you have a light at the end of the tunnel!! Your desk is too funny! I too am moving and will now be "getting my own room" as the husbands say. 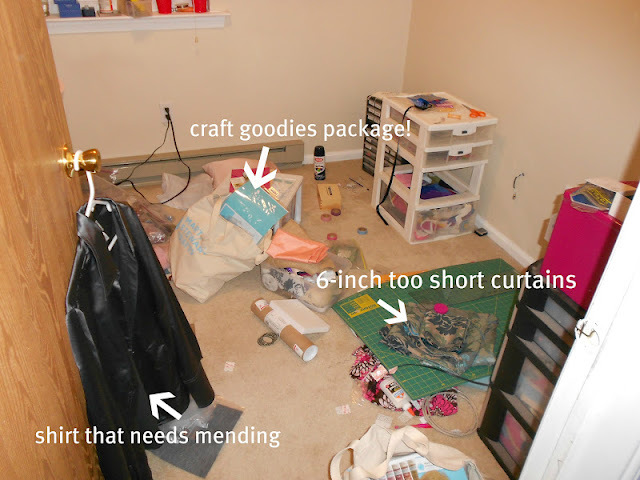 So I have been compiling a Pinterest board of just craft rooms.